"All they said was just, 'Run, run, run, run,'" one commuter recalled. "People getting stampeded, getting trampled, bags flying. It's crazy right now"
Dozens of commuters ran out of a crowded Manhattan subway station Tuesday morning after one straphanger thought someone claimed to have a gun, according to the NYPD. Straphangers stampeded out of the Central Park North - 110th Street subway station in Harlem at about 9 a.m. in what police are calling mass hysteria. Authorities said the commotion spurred from a fight between two people on a 2 train. It's not clear what led straphangers to believe someone had a gun. But police said that it doesn't appear that a gun was ever fired. Rider Jessica Shockeness said that she heard three loud booms during a delay as her 2 train pulled into the station. She said after she got off she heard another commuter say "I think it was gunshots" and people started running out of the station. Shockeness said she didn't think the noises she heard were gunshots, but she decided to run too. "I see people running, I'm gonna run," she said. 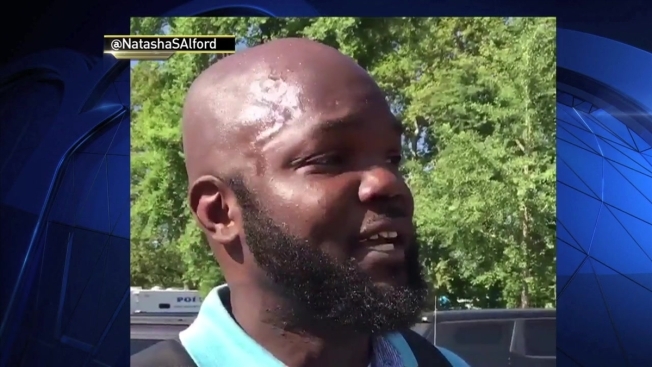 One commuter told The Grio's Natasha Alford in a video posted on Twitter he was walking into the station wearing headphones when he saw people running toward him. "All they said was just, 'Run, run, run, run,'" the commuter said. "People getting stampeded, getting trampled, bags flying. It's crazy right now." It's not clear if anyone was hurt in the commotion or if any arrests have been made.